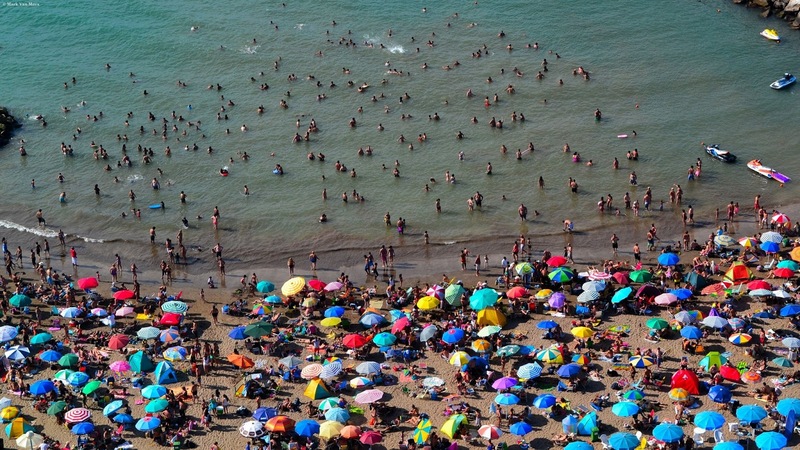 Populated beach. The exodus of each summer from the big city to the sea. These beaches for 10 months are often empty. It is incredible to imagine them in the most absolut solitude when one sees them in this state. Thousands of stories that are linked and find their common place only for two months a year. Mar del Plata city. Atlantic coast. Buenos Ares province. Argentina.